timeless vie – Lovers of makeup, jokes, and feminism. We believe Multi-Level Marketing is a feminist issue. Join us on Facebook, Twitter, Storify, WordPress & Instagram! Friday, Sept 1: Charity OneFamily Foundation dropped multi-level marketing company “Safe Girl” from it’s Community Awards after a social media outcry today. Safe Girl is a company that was launched in 2011 in the UK by founder Andrea Clark that claims to provide security devices and empowerment for women, however, critics say that the multi-level marketing model it uses is anything but empowering. Safe Girl first came to the attention of Timeless Vie and others in the anti-MLM movement some months ago. Like many MLMs, it advertises itself as a way to make a flexible income from home by selling products and recruiting others into a team. Timeless Vie supporter and anti-MLM activist Michael Foley alerted us to Safe Girl’s inclusion in OneFamily’s community awards. They were asking for 10,000 pounds and competing with genuine charitable organizations for the money. We felt this was wrong but we also felt it was very likely that OneFamily didn’t realise Safe Girl was an MLM. It’s not unusual for MLMs to try and distance themselves from the rest of the industry. We collaborated with Talented Ladies Club, Elle Beau Blog and other members of the anti-MLM movement on social media to raise the issue with OneFamily. Many supporters also complained directly to the organization. Result: OneFamily announced they were dropping Safe Girl from their awards late Friday afternoon. Timeless Vie was started to create awareness of MLM as a feminist issue and to provide support for victims of the industry. With the increasing public backlash against MLM, it is more important than ever that companies, charities and government orgs make sure their partnerships are with ethical businesses not MLMs. Please contact us if you have any questions about a potential partnership. If you’ve been on Facebook or Instagram lately, and not living under a rock, you’ve probably heard of LipSense — an amazing smudge-proof, long-lasting liquid lipstick. This stuff actually works. I ordered some LipSense from her, and was sunk. It works. For me, it lasts well over 12 hours. Over 70 colors! Heaps of different glosses (which are part of the ‘system’). You apply the color in three layers (topped by gloss), so you can use a different LipSense color for each layer, and create your own custom colors. That bit is pretty cool. I quickly became a bit obsessed with the stuff, and after a few months of buying more colors, and wearing it, I started to think about signing up. Unfortunately, at that time, there weren’t any blogs, articles or videos that were critical of SeneGence (it trades as SheerSense in the UK), but I did research it as best I could. I had never been in an MLM before (and was generally anti-MLM, with good cause), but despite this, and feeling that it was all a bit cult-ish, I decided to sign up. I’ll trust my gut next time. 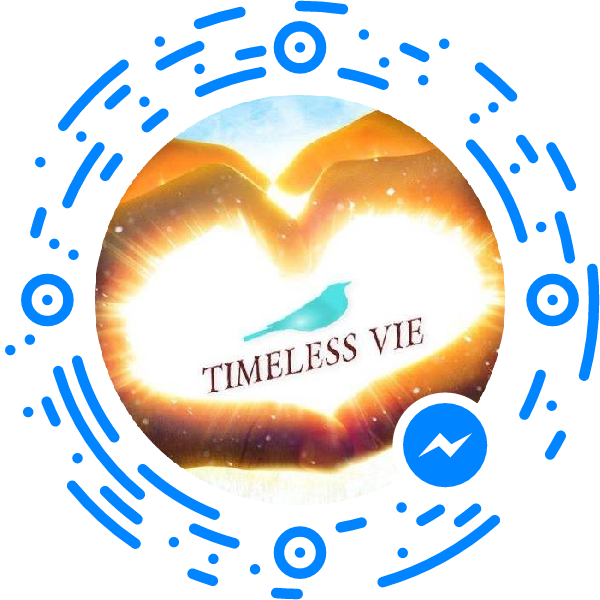 Now, I’m writing this blog post for Timeless Vie, so you know things didn’t turn out well. I have been a distributor for nearly a year, have around 80 happy customers, but will be lucky to break even. I will not be renewing my membership once it runs out. I don’t even know where to start describing the problems with this company. TLDR: My basic advice is, if you want to use LipSense, go for it, it’s good stuff — but be a customer. Don’t sign up as a distributor. SeneGence was started in 1999 by an American women, Joni Rogers-Kante. She was a high-level consultant with Mary Kay (see the excellent blog Pink Truth for the low-down on MK). She basically duplicated the Mary Kay set-up into SeneGence. Even their annual ‘rah-rah-rah-go-team conferences’ are both called Seminar. Almost everything on the Pink Truth site also applies to SeneGence. It’s currently in very early stages in the UK — in February 2017, one UK distributor said there were only around 200 distributors. The official SheerSense Facebook Page doesn’t seem to have a great deal of activity at the moment. In North America they have roughly 160,000 distributors at the moment, and are approaching saturation level in some states (SeneGence claims there’s ‘no such thing as saturation’, which is laughable). In the States, many distributors are now unable to sell their product, as demand has waned, and are discounting heavily to try to recoup some of their outlay. They say that you can join as a ‘personal shopper’, or decide to sell, but really, they’re expecting that you will always eventually end up selling. You will definitely lose money if you sign up as a personal shopper. The discount you receive will probably only be 20%, unless you order heaps — over £199 in a month (and this discount is reset at the start of each month). This minor discount will be wiped out by the steep postage and handling costs they whack onto every order. For starters, the Distributor Application Fee (£85) isn’t a one-off cost — there’s an additional £39 annual fee. Not all uplines clearly state — or even realize — that there’s an annual membership fee. To make money in this business (and most of us don’t, even with a downline) you really need to be prepared to ‘hustle’ constantly, be on social media almost constantly, push sales, work long hours, and build a significant downline. It’s hard work. All the usual MLM stuff applies. Here’s a quick run down. There is near-religious adoration of the founder, Joni Rogers-Kante. She is very Christian and right-wing (her husband, Bennie Kante, was the biggest Oklahoman donor to Trump’s inauguration fund, and I assume she has similar loyalties). Distributors treat anything she says with utter reverence. In America, the company has a very Christian vibe. It’s big in Texas and Utah and among Mormons . At least the religious aspect is not so obvious in the other countries where SeneGence operates (Canada, Australia, the UK, Indonesia, Brazil, Poland, and Switzerland, at the moment). All the ‘always think positive’ crap. Anything that doesn’t work well is your fault — you were thinking negatively, limiting yourself, not hustling hard enough, not keeping going against the odds, giving up, not ‘Wowing’ random people in the street with your stripes, not following the rules (oh, the rules — so many rules). Never say anything negative, ever! Right in line with cult behaviour. Old fashioned. In a bad way. The cringe-worthy amateur design. Some of us ‘rebel’ distributors remove the labels, apart from the color name stickers. They look so much nicer that way! The appalling old-fashioned, clunky website (the ‘Back Office’ area for distributors is particularly bad). Their logo, packaging, corporate publications, and advertising material have this 1990s amateur feel. If you want to sell that 3-in-1 Cleaner for £30, it ought to look like it’s worth that much! I won’t go into the details of the math behind how you can’t make money at this game. There are high fees for postage and handling. You have to order a certain amount to stay in the game as an active distributor. Your customers will quite quickly have enough colors, and not be ordering all the time. Any downlines you have are in competition with you. You have to ‘pay to play’ to earn any commission income (ie you have to place an order that month at a certain level, amounting to hundreds of pounds, to earn any monthly commission from your downline) … trust me, like for any MLM, it ain’t gonna work. In the last few years, SeneGence has had massive growth, especially in North America, due in large part to LipSense hitting social media in a big way. If you search for ‘LipSense’ on YouTube, Facebook, or Instagram in particular, you will be swamped. They had a huge influx of distributors, and then sold out of all their products (in the USA, especially — other countries also suffered, but to a lesser degree). They had NOTHING. And they don’t just sell LipSense. There’s heaps of other cosmetics (also long-lasting and smudge-proof), and a whole overpriced skin care range. Everything was out of stock. Many products are still out of stock. With NOTHING in the warehouse for distributors to purchase, they kept on taking sign-ups. Which, to my mind, defines a pyramid scheme. The company was making so much off sign-up fees that it didn’t matter to them that their new recruits had nothing to sell. Then they suddenly cut the color range from over 70 colors to 36 (when we lamented the loss of favourite colors, we were told to ‘Get a new favorite’). And instead of focussing on just making more LipSense, which is what our customers mostly want, they brought out new products. Perfumes, for heaven’s sake! Sun screen! Why didn’t they focus all their energies on just producing more of what we actually wanted and needed? The stockpiling that American distributors in particular did during the ‘Out of Stock Crisis’ is horrifying … one color would come in, and it would be sold out within three minutes. Distributors would be buying vast amounts at once (like 20 tubes of one color) to be able to trade/swap for other colors with other distributors (swapping between distributors is allowed, while selling between distributors is against Compliance). The company has never applied order limits (for example, limiting orders to only 5 tubes of one color at a time). Many distributors are now dumping their stock at massively reduced prices, in going out of business sales, to try to claw their way out of debt and just get rid of the stuff. Customers are starting to expect below-wholesale prices, which only makes things harder for us, as there’s no way we can sell at retail and recoup our costs of buying the stock in the first place. The reality is you do not own your own business at all. They pull the strings. They can forbid you from doing something that they don’t like. The Policies and Procedures (P&P) rules are quite restrictive and often unclear, and it’s all too easy to fall foul of them. There are also hefty associated costs. We also have to print all marketing materials, business cards, flyers, posters, purchase tester products and disposable tester wands and so on ourselves. We have to bear the cost of providing hostess discounts and gifts at product parties. The starter kit doesn’t include any samples of actual product. You also have to handle all packaging, shipping, and returns, and ship out orders (many newer MLMs now handle all this for you, and you never have to handle stock or orders at all). It’s all part of ‘having your own business’ as they so noisily proclaim. You don’t. Most of the management of LipSense downlines is done on Facebook, in large secret or closed groups. There are groups for graphics, groups about how to use social media (the company is clueless), and then the huge upline groups run by the Princesses and up (yes, princesses. I’ll get to them in a minute). These groups are great for the ‘Kool Aid drinkers’, but not for any distributor who has legitimate questions or criticisms of anything, finds that some products aren’t working as advertised, or, heaven forbid, doesn’t like one of the products. That sort of ‘disloyalty’ isn’t allowed. The very large ‘SeneSisterhood’ groups quickly turn into mean girl clubs, with bullying, and people reporting each other to the SeneGence Compliance or Legal sections, when they see people doing anything against the standard P&P. Any distributor can be Compliance Police, and snitch on you. In fact, emails from Compliance are about the only quick response from SeneGence you’ll ever get. The company is infamous for not bothering to reply to most other emails or phone calls. You’re not supposed to discount products by more than 15% — if you do, the secret Compliance Police will report you. Selling on any website with a checkout system, like eBay? You’ll be reported. Sell a tube of LipSense to another distributor? You’re in trouble. And there’s heaps of other ways you can overstep the mark. The ‘sisterhood’ sort of language that’s used burns me up. Maybe it’s my age (I’m in my 40s), but all the ‘hun, bae, babe, girlboss’ sort of talk just feels demeaning and dismissive to me. I hate that when I have a serious problem, my Crown Princess will just say, in effect ‘Just be positive, hun’. Does. Not. Cut. It. One of the biggest turn-offs for me is the ranking system. It’s based on royalty, and prom queens. If you rise through the SeneGence ranks, you become a Maiden, and higher ranks include Lady, Duchess, Princess, Crown Princess, or even a Queen. What, are we all 14? They wear ballgowns at special events, and wearing ‘SeneBlue’ (royal blue, their official color) is ‘strongly recommended’ at all SeneGence events, especially Seminar, their annual ‘re-indoctrination’ hypefest. They hand out tiaras and sashes, and it’s all damned beauty pageant demeaning. It takes feminism back to 1917. For a company that claims to be ‘empowering women’, they have a weird way of showing it. They shower flowers, trips and gifts on their highest ranked distributors. The vast unwashed masses of distributors get pathetic 1¢ plastic ‘gems’, made in China, as recognition on reaching various milestones. Here’s a crazy idea — give those of us who advance and do well (despite the awful odds) something like increased commissions, or free shipping? SeneGence HQ has taken to telling what seem to be out and out lies, and is losing the trust of many of its long-term distributors. They claim they had a ‘warehouse robbery’, with thieves stealing masses of LipSense. We can’t find any police or newspaper reports to this effect. They cut heaps of red and orange colors from their range, claiming that there was a worldwide shortage of red pigments in the cosmetic industry. Any other cosmetic companies or industry bodies claiming this? Nope. The only thing I could discover was that cosmetic red pigments recently got more expensive. They say they will buy back your products if you decide to leave — the reality is they’ll buy back 30% of your last order (as you have to tick a box vowing that you’ve sold 70% of your previous order), and they charge a restocking fee. They claim that their expensive skin care is their biggest seller. Well, maybe it sells well to distributors who are trying to get their Points Values up each month, as the stuff is so expensive, but in a year as a distributor, I’ve sold one tub of moisturizer (and not for want of trying), and over $12,000 of LipSense and gloss to customers. The other distributors I know have similar stories to tell. They change how they apply their own policies and procedures, seemingly at random. They ignore well-meaning advice on how to improve things. They treat some distributors very shabbily indeed. Many of us have ‘lost faith’. This company isn’t listening, and can’t be trusted. The LipSense patent runs out in April 2018. There are other long-lasting lipsticks out there that are much cheaper and aren’t that bad. More are coming out. The patented formula will be public in less than a year, so expect to see even more LipSense-like lippies out there. I’m betting that SeneGence will suddenly bring out a ‘new improved alcohol-free formula’ around the time the patent expires. Bet you anything. Many of us feel that if SeneGence continues as is it going now, it will crash and burn. The leadership has consistently ignored advice on how to improve their running, for years. To read more stories from real distributors, visit the Crownless Princesses blog. I am an experienced small business owner, running my own business for over 13 years. I did work hard at this. I am not a bully or a crybaby. I didn’t expect it to be easy. I did read the P&P before I signed up. I did the ‘Wow-ing’ and attended trainings, approached strangers, held open houses and parties, got all the gear, the whole nine yards. I really tried to make this work. My upline was good and supportive (although she quit even before I did). I had several downlines, and gave them all the support they could need, and they all quit before I did. I have around 80 customers, and regular sales, and am still thousands away from breaking even. I still like LipSense and many of the other cosmetics, and still use them. But I should have stayed a customer. If you still want to sign up, after reading all this, please don’t front load, only place orders as you receive them from customers. Be cautious and conservative in what you order. Be sceptical and don’t buy stock on credit. Don’t drink the Kool Aid. Be careful out there.